Discover how to incorporate digital games into lessons in order to improve learning and prepare 21st century students for college and careers. Discover how digital gaming can improve learning and prepare students for successful futures. 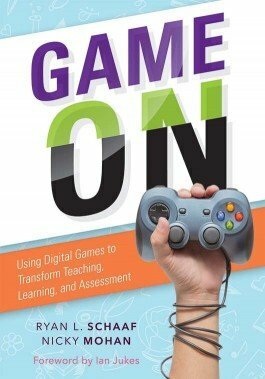 The authors—both experienced educators and enthusiastic gamers—contend that students of the 21st century communicate and learn differently than previous generations. By incorporating digital games into lessons, student learning will more accurately reflect the interactive, engaging reality students experience outside the classroom and better prepare them for college and careers. Learn why students of the digital generation require different learning and teaching methods than previous generations. Discover the benefits of playing games for educational and professional development purposes, which include making students active participants in their learning. Gain consistent, clear definitions for terms related to gaming in education. Access lists of suggested digital games and learn for what purposes the games are most useful. Consider how digital games can address students’ diverse learning needs.